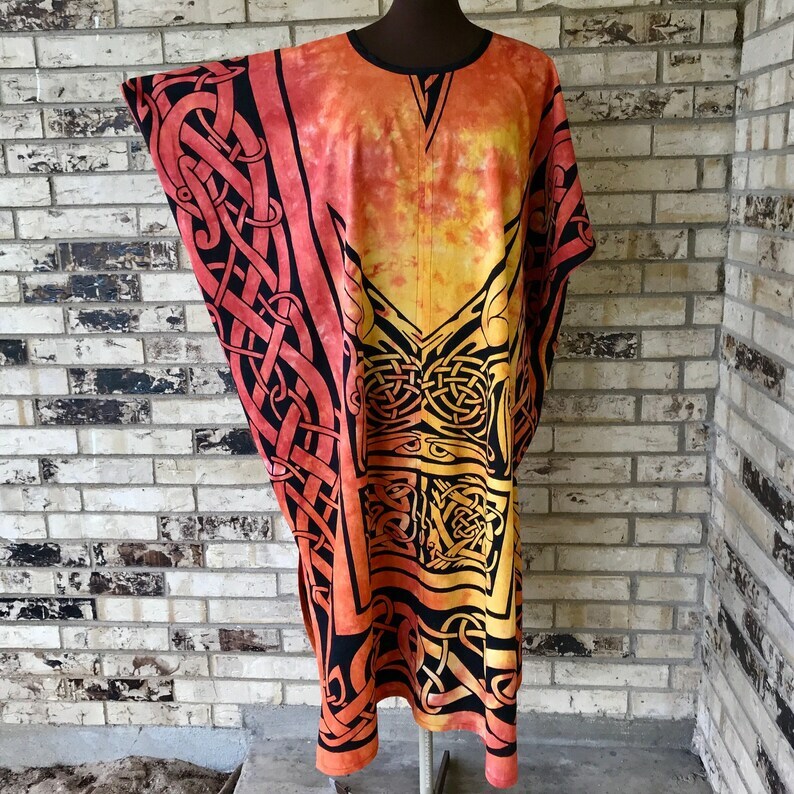 Celebrate your love of Game of Thrones and Vikings and St Patricks Day with this bright celtic caftan. The neck is bound to prevent any sort of stretching and all seams are completely finished to insure that the inside of your garment is as lovely as the outside. It is sized to fit almost everyone up to 5X. We would suggest washing your garment separately in cold water by hand or on gentle machine cycle and drying on a hanger or gentle dryer cycle. Because it is cotton it may need to be pressed lightly.